Nowadays, purchasing product means buying online. Having a website that showcases products is useless if customers don’t buy the products. In fact, we have no business calling them customers if they don’t buy. Because the rule of business is: we sell, they buy. Not taking care of any of these factors might ruin your chances of succeeding in eCommerce. A well-designed site helps you build trust with your visitors and convert those visitors into customers. 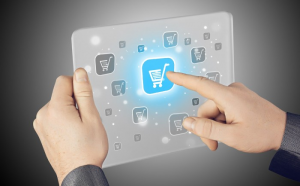 Preparing an eCommerce store is not always as difficult to do as you might think. However, getting it right is definitely harder to achieve. This year’s holiday season has already been the highest one, as many experts already predict. While we’re on the subject of social: Consider using easy social logins to reduce shopping cart abandonment and optimise checkout flow. The holiday season is officially here, which means millions of consumers will be spending more cash to buy those gifts. Online world is exceeding the real-world experiences, especially at Christmas time. It turns out the new research from Yahoo7 has revealed. The latest report highlights some key points on Christmas shopping trends and behaviours of Australian consumers online, to provide marketers with an enhanced understanding into reaching their consumers this holiday season.